Northern Lights.mn sees winter as a defining key to our cultural imagination, one that must be cherished even as its existence is threatened by global climate change. That’s why we’re teaming up with Uptown’s French bistro, Barbette, to host B-Lectric, a winter celebration of art and light this January. During this one-day winter street festival, Northern Lights.mn will construct custom ice walls that, at sunset, will become projection screens for a variety of light-based projects. 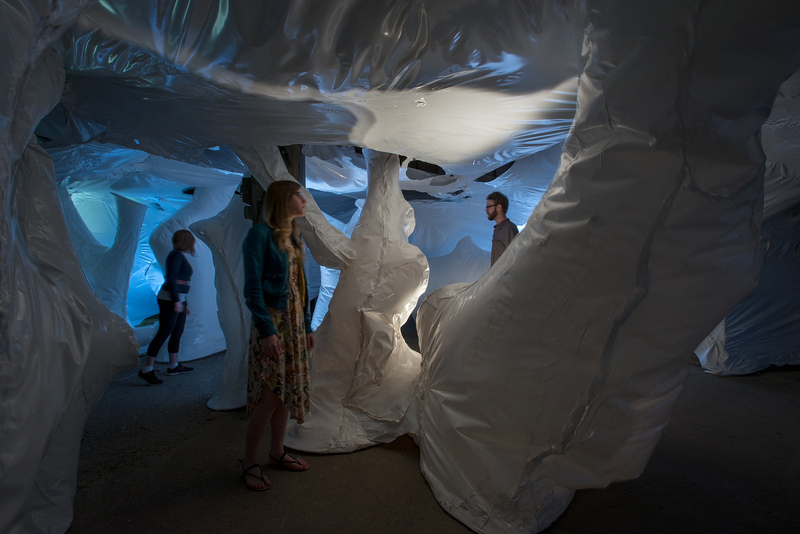 Highlights include Joshua McGarvey’s Ice Fall-Feel the Change, a favorite of Northern Spark 2016, which allows audiences to feel glaciers calving as they lean back into sound beds. A documentary compilation by local curator Graci Horne showcasing new footage from the ongoing pipeline resistance at Standing Rock, North Dakota will be joined by short films from Wapikoni, a mobile recording studio that travels to First Nation communities in Canada. In addition, Art Shanty Projects will transform surfaces into creative community spaces that are part art gallery and part social experiment. To round out the afternoon, there will be DJ sets, performances, and mini obstacle courses, along with delicious food and warm cocktails. B-Lectric is a proud part of the Great Northern festival. Join Northern Lights.mn as we team up with The Minneapolis Foundation and the Downtown Council to bring Living Banners by Piotr Szyhalski to Nicollet Mall. 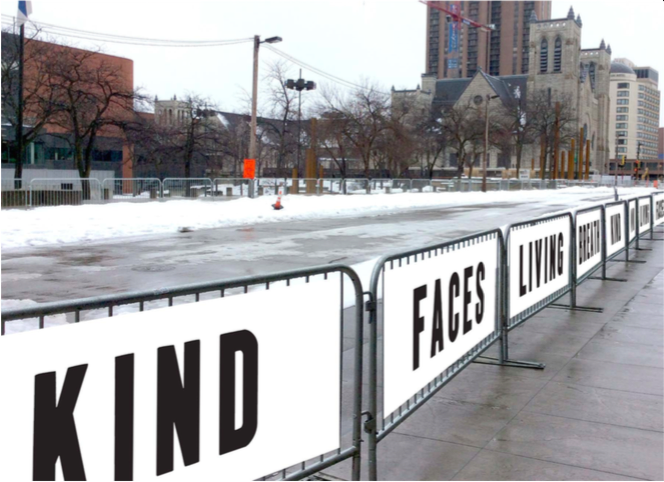 This sweeping, poetry-inspired art installation will be on display Jan. 30 – Feb. 10, “wrapping” Nicollet Ave between 5th and 12th streets, along with short poems about winter by local writers flashing across electronic road construction signs. These word-laden works will kick off with a spectacular recorded sound and light show in partnership with the Minnesota Orchestra and University of MN student engineers on Peavey Plaza Monday, Jan. 30, with four showings throughout the evening. Everyone is invited to bundle up and join the musical magic as part of The Great Northern festival, celebrating all things winter in Minneapolis and Saint Paul. Three teams have been selected as finalists for the 2017 Creative City Challenge. This year artists were asked to propose projects following the theme of Climate Chaos | Climate Rising. Later this month these teams will present their full proposals to a jury, which will select the winner to install their project on The Commons and to be unveiled at Northern Spark on June 10, 2017. 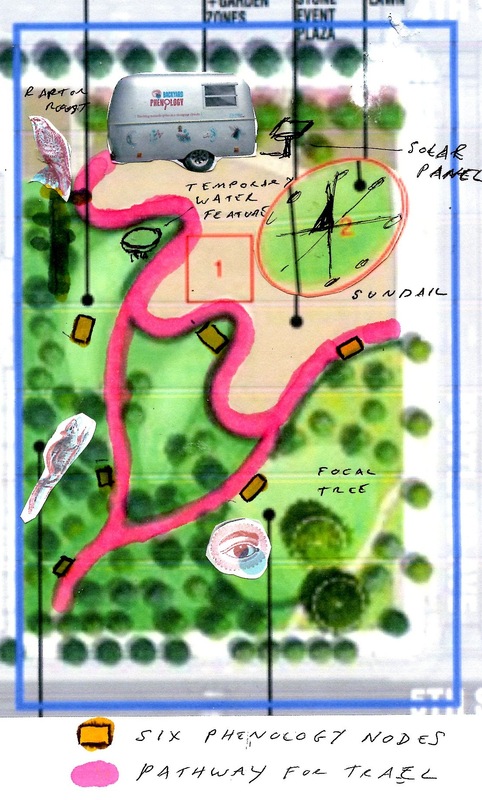 Christine Baeumler with Backyard Phenology Team and the Illuminated Reef Collective / BareBones Productions proposes the Multi-Species Menagerie, an exploration of the presence and absence of species in the urban environment of the Anthropocene. 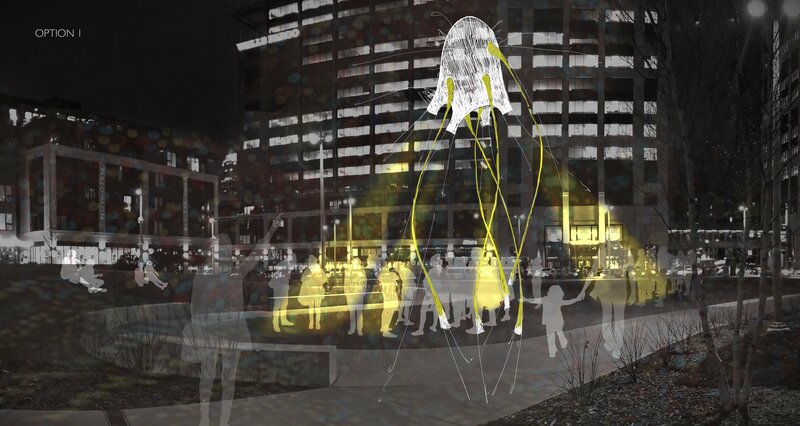 The project includes a phenology trail that provides opportunities for people to observe species in the urban core, and makes visible the species that have or could disappear from Minnesota while symbolically welcoming back species through participatory performance, storytelling, and dance. MINN_LAB’s Orbacles, is a triad of anthropomorphic spheres that interact with visitors around climate change through the language of our senses. 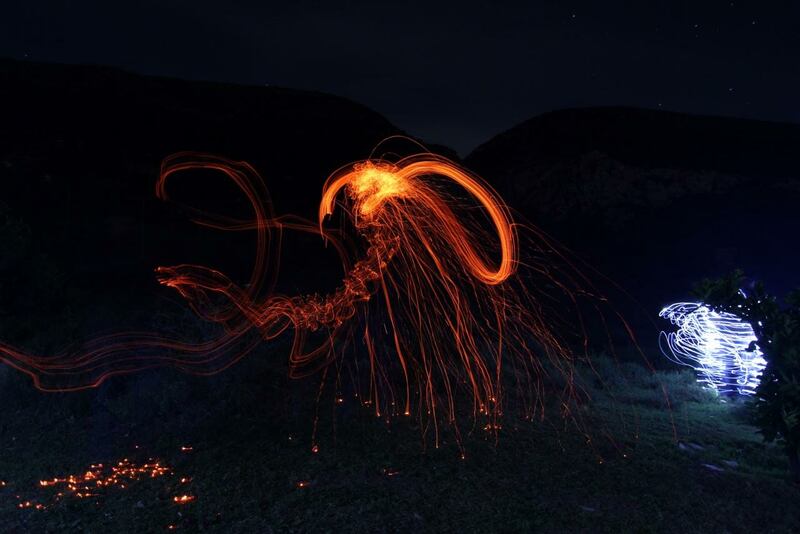 The orbs change the space around them through light, sound and projection in response to natural and human inputs, spurring recognition, contemplation, familiarity, questioning, conversation, and response. 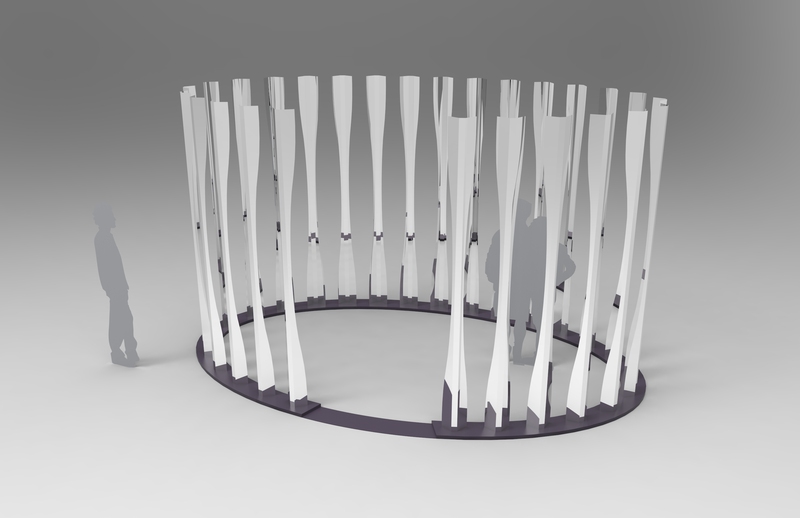 Wil Natzel’s Thinning Arctic Ice Pavilion is inspired by the effect of climate changes on the arctic ice sheet. This spectacular and immersive architecture pavilion provides visitors with an experience that will inspire them to perceive and contemplate the thinning Arctic ice caused by rising temperatures. On February 23, 2017 we’re teaming up with long-time Northern Spark partner Mizna to present a panel discussion on the often overlooked topic of the environment in the Arab world and its intersections in Arab America. Led by Gary Paul Nabhan, the internationally-celebrated nature writer, agrarian activist, and ethnobiologist, this event serves as the release party for the Winter edition of Mizna’s journal, also edited by Nabhan and focused on this topic. Hosted by Studio Z in Lowertown, St. Paul. 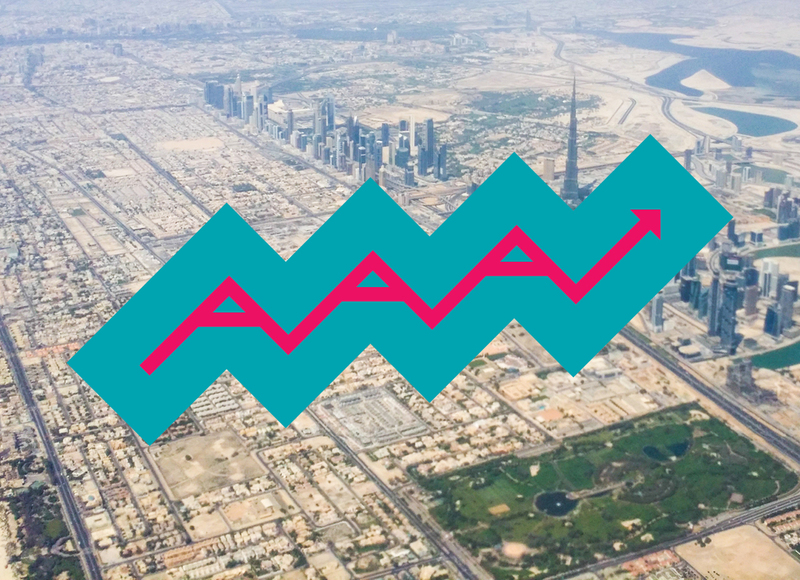 Read more about past Anthropocene Awareness Association events here, and how to become an AAA member! Dreaming of summer concerts? Come to the Launch Party on June 10 from 7-9pm to hear one of the most highly-awarded local musicians of 2016. 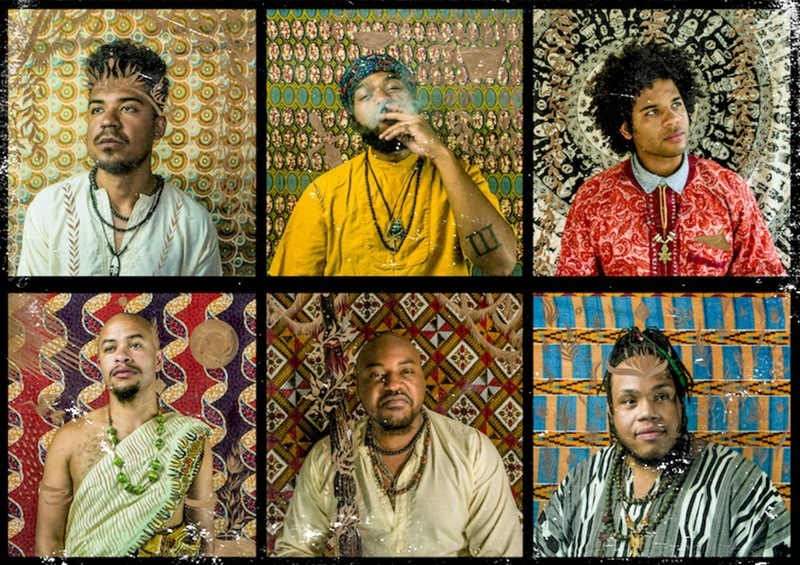 ZULUZULUU is Minneapolis-based collective of artists MMYYKK, Proper T, Greg Grease, DJ Just Nine, ∆RT P∆RTÉ & Trelly Mo. They come to the stage armed with various synths, drum machines, and instruments set out to bring an exploratory modern sound influenced by the greats of funk, soul, and jazz with electronic excursions, hard grooves, Afro-futurism and soulful melodies. Launch Party tickets are on sale now! Robin Garwood, Wishing Well (one of the many projects that we selected from last year’s open call process) Northern Spark 2016 Photo: Max Haynes. 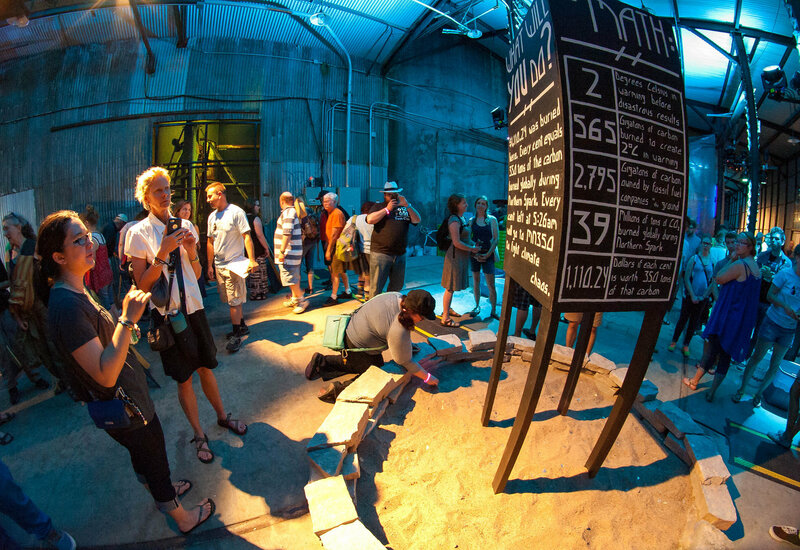 Last call for Northern Spark artist project proposals! On the night of June 10th, the Light Rail Green Line will become the creative spine of the festival, uniting neighborhoods in Minneapolis and Saint Paul under the banner of Climate Chaos | Climate Rising. All along the Green Line, neighborhoods will light up with participatory art projects, weaving global questions about climate change into the fabric of community celebrations. Our artist calls for Northern Spark 2017 are currently open, but the deadline for submissions is swiftly approaching. Make sure to check out all of our available opportunities and apply before 9pm on Monday, January 16th! 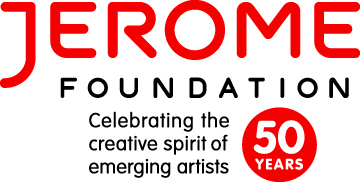 Check out our Artist Opportunities page for the full list. Deadline is approaching soon: Monday, January 16, 2016, 9:30pm, CST. As a festive addition to Northern Spark 2017, Twin Cities based food trucks are invited to participate in the festival taking place Saturday, June 10, 8:59pm – Sunday, June 11, 5:26am. With an expected 50,000 people participating in 7 nodes of activity along the Metro Transit Lightrail Green Line, vendors will have ample opportunity to showcase their menus and gain word-of-mouth buzz in addition to strong sales. Applications will open in mid-January from a link found on our website. Submissions are due February 28, 2017. Notifications and contracts will be sent to accepted vendors before the end of March. Questions should be directed to foodtrucks@northern.lights.mn. View more images on our tumblr by photographers from around the world documenting climate change on a local level. – The City of Minneapolis Arts, Culture and the Creative Economy program is seeking three artists/designers or teams (maximum of two artists/designers per team) to participate in Creative CityMaking Minneapolis (CCM), a program that pairs staff in City of Minneapolis departments with experienced community artists/designers to advance the City’s goal of eliminating economic and racial disparities. Read the complete call for artists on the website here or this pdf.